From the earliest days of Zola’s weekly television broadcasts, his now well-known tagline “Pray for the Peace of Jerusalem” (Psalm 122:6) has been an earnest request to you on behalf of Israel. However, Psalm 122:6 stood as a lone request, with only an occasional mention of its full context. Psalm 122 is one of the Psalms of Ascent (Psalms 120–134). These psalms (songs) were heartily sung as pilgrims made their way up to Jerusalem, Israel’s capital, and were especially inspiring during the reigns of David and Solomon. During those two monarchies, pilgrims traveled to the Tent of Meeting and the Temple, respectively. As you and I know, God gave David’s son Solomon the task of building the Temple, but it was David who moved the Ark of God from Kiriath-Jearim (2 Samuel 6:1ff) into a specially prepared tent in Jerusalem, the Tent of Meeting. There were three main pilgrimages during the year: Passover, First Fruits, and Sukkot. These Moedim (appointed times) were scheduled meetings with God on the Temple Mount. 2Our feet have been standing within your gates, O Jerusalem! 3Jerusalem is built as a city that is compact together. 4Where the tribes go up, the tribes of the Lord, to the testimony of Israel, to give thanks to the name of the Lord. 5For thrones are set there for judgment, the thrones of the house of David. 6Pray for the peace of Jerusalem: “May they prosper who love you. 9Because of the house of the Lord our God I will seek your good. The first two verses offer a glimpse of the pilgrims’ joyful arrival in Jerusalem. The journey was long and arduous for many, but when they looked upon the Holy City set on a hill, their weariness turned to rejoicing. So much so that they invited King David to join them in their rejoicing. Even as a king, David wasn’t too busy or put off when the pilgrims invited him to join their celebration. Bible readers don’t know the particulars of this season of celebration, but no matter; everyone there rejoiced. David’s psalm makes special note that the worshipers are inside the city walls of Jerusalem. He might be remembering all the times he had joined other pilgrims in their worshipful journey, or just noting that here they are, standing in the streets of that magnificent City of God. Do you get excited at the thought of joining other like-minded Believers (“Believer” is short for “believer in Yeshua/Jesus as Messiah.”) in worship? Such experiences can be exhilarating when we prepare our hearts prior to arrival. These ancient pilgrims were singing their way to Zion! Are you looking forward with excitement to that day when all Believers will set foot in the New Jerusalem — the eternal Holy City of God? Am I trying to entice you to travel with our Messianic group to Israel and see Jerusalem in all its modern glory? Of course I am. But it’s more important that you don’t miss the New Jerusalem for all eternity. Zola Tours pilgrims have a joyous time in Israel; we Believers will have a glorious time in New Jerusalem! Back to our psalm study. Verses 3–5 describe how compact (closely knit) the community of worshipers becomes in Jerusalem. When the tribes (pilgrims) come together for celebration, the city grows crowded, but not in a bad way. David describes how much joy he derives from seeing Jehovah’s people singing praises and worshiping — drawing the city together compactly in the safety of worship. Now to the main point of our study: verses 6–9. What exactly was Zola asking you to pray for when you pray for the peace of Jerusalem? Without a doubt, he knew — and also taught — that real peace would only come when the Prince of Peace appears the second time! He knew that praying for a settled calm (peace/shalom) in Jerusalem would afford thousands of Believers the incentive to journey to the holy sites and model Yeshua’s love to his Jewish brothers and sisters, just by their presence. You see, the key is opportunity. Zola knew that if unrest continued, pilgrims from around the world would stay away from Israel. While one travel motive is to boost the local economy, the more important result is being a witness — a tangible friend to Israel. The prayer for peace and prosperity reflects back to Genesis 12:3. No accounting method can keep track of all the prayers that have been offered to God for this ministry and Israel through the years. And mere words seem inadequate to express ZLM’s gratitude to all of you who have helped keep the lights on, cameras rolling, and printing presses providing free newsletters over years. The vital mission of this ministry will continue only with your prayers and financial provision. We ministry workers covet both and earnestly request them. P.S. Verse 8 of our study psalm notes, “For the sake of my brethren and companions, I will now say, ‘Peace be within you.’” Signing off with Sha’alu shalom, Yerushalayim was Zola’s plea to you — for the sake of his Jewish brethren and companions — to pray for peace! His original vision and mission, thanks to you, remain intact. Kirsten and I recently were blessed by an extended visit from both of our grown sons and our daughter-in-law. One of our conversations centered on investing money and making wise financial decisions. It’s a fulfilling turnaround when your children teach you ideas! 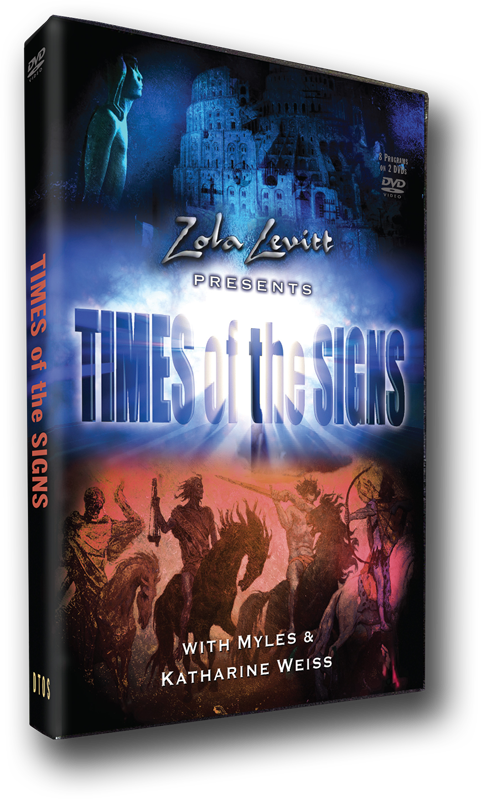 Our whole family admires Zola Levitt Ministries and its God-directed stewardship. We love working with the ministry to spread Yeshua’s Good News through many media and print outlets. You supporters can trust that your financial gifts effectively disseminate the message of Yeshua’s saving grace “to the Jew first, and also to the Greek” (Romans 1:16). Thank you for your continued provision to this ministry. The present Jerusalem and the one to come both are cities set apart to be truly holy. As Tony mentioned, the trip up to Jerusalem can be “long and arduous” for many, both in the past and for current-day travelers. Whether it is the travel itself or the finances that are daunting, we want to assure you of our pilgrimage’s value. Therefore, if God has set this destination on your heart, please pray about joining one of our study tours. Once you lay eyes on the Holy City, you will rejoice as did the pilgrims of the past — your weariness will turn to rejoicing! Please see tour options and contact information above. In August, we air the final three programs of the eight-part series Times of the Signs that encourages Believers to look beyond the troubling prophetic signs of our day and live in growing expectation of our Messiah’s return. Satan continues his push to exclude God and install a man-based government over Earth. Mankind’s only hope lies in accepting Yeshua’s sacrifice on the cross. Extreme elements in the environmental movement are moving away from Judeo-Christian teachings and toward animal rights, glorifying nature as “Mother Earth.” Believers worship the Creator, not creation. Guest: missionary Mark Musser. Present-day Bethlehem is a city of prodigious tension, with Arab Christians there caught between God’s Scriptural covenants with the Jewish people and replacement theologies powered by Islamic doctrine. Too many “peace” proposals exclude the Prince of Peace. Guests: Andy Woods, Randall Price, Jim Fletcher, Tim LaHaye, Jimmy DeYoung, and Bill Koenig. David and Kirsten Hart introduce Called Together, an eight-part series about gentile Christians recognizing their Messianic brothers and sisters (Jewish believers in Jesus/Yeshua) as the “natural olive branch” Paul referred to in Romans 11. We’re finding the new program format exciting indeed: Diana’s weekly Hebrew lessons, teachings from Eitan and Chaim, and discussions with Jeffrey Seif. The best of Messianic and Israeli teachers every week! Oh, yes, and the honor of singing Zola’s songs! You won’t want to miss a single program of the new series Called Together. Your letter helps me embrace better than ever Zola’s and your intent behind asking readers and viewers to pray for the peace of Jerusalem. Jeff and Sandra examine Psalms 120 to 134, which are known as the “Psalms of Ascent.” While these psalms may have been sung by ancient Jews going up to the Temple in Jerusalem, they are surprisingly appropriate and timely for Believers today. Prophecy studies often deal with the Tribulation, the antiChrist, Armageddon, and other cataclysms to befall an unbelieving world. This delightful study deals with the happy events prophesied for Believers: the Rapture, the Marriage Supper, the Kingdom, etc. The future for those who believe. A very different and very important study. Most people plan more carefully for a two-week vacation than for the seven years we will spend as guests in our Messiah’s Father’s house. What will we do during the time we spend among the “many mansions” and how do we prepare for it?